This is my entry in PaperDolls second Link Party. 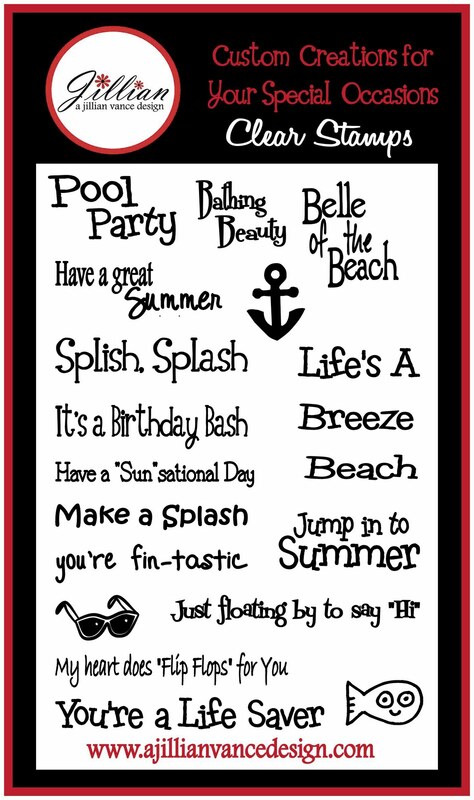 The theme ~ Splash into Summer! It goes perfect with the stamp My heart does Flip Flops for you from the Make A Splash Stamp set by A Jillian Vance Design! I cut the file in Make the Cut and Dina makes it so nice by grouping all the cuts together when you open the file, so you can size them at the same time so no guessing needed! They were cut at 3 1/2 inches. Love the daisies! Please leave me a comment ~ I love to hear from you! Cute card. I need to get busy and make one. I already downloaded the cut file from Treasure Box. Great job. Love the flip flops and the stamp! Thanks for joining us in the Paper Dolls Link up party! I just wanted to let you know that I got my stamp sets and they are just awesome! I have already thought of a million uses and will be making a card tonight using one of them. Be sure to check out my blog in the next few days to see your stamps in action. Thanks Hun!